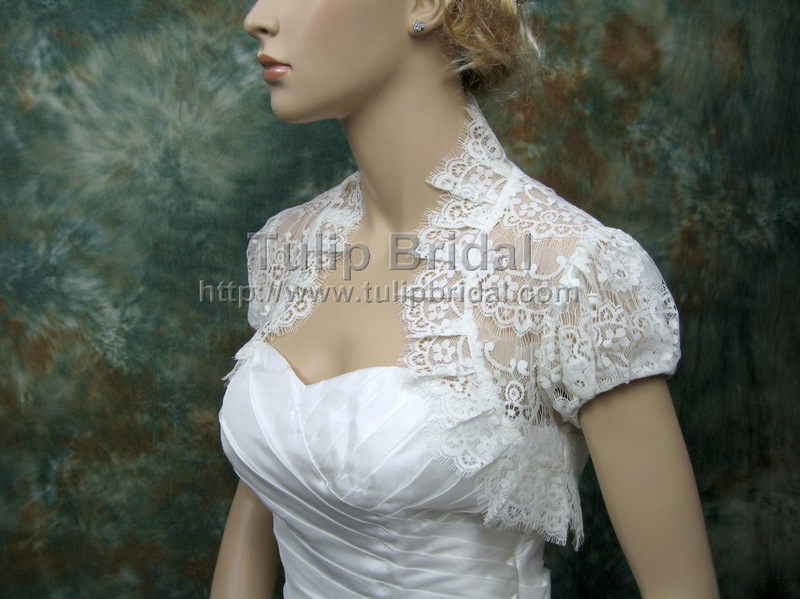 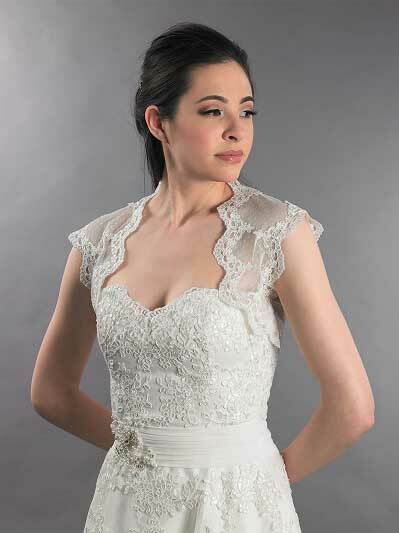 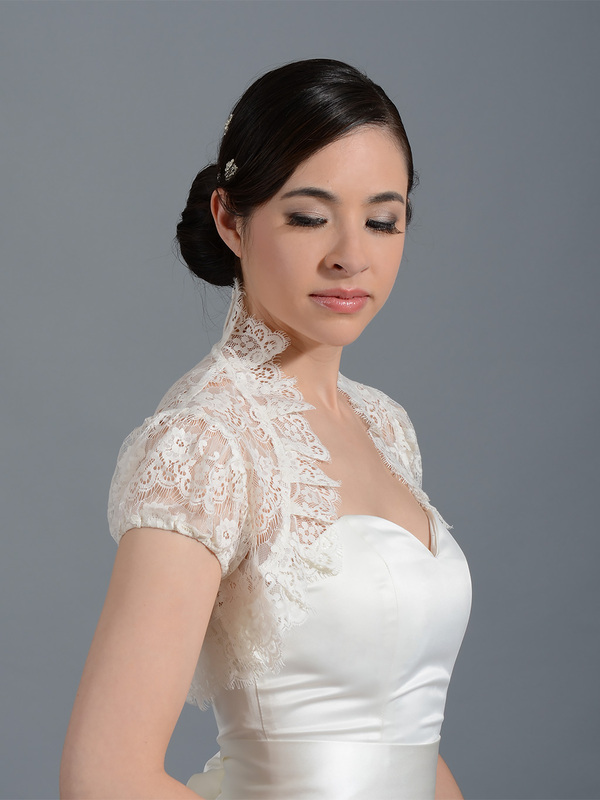 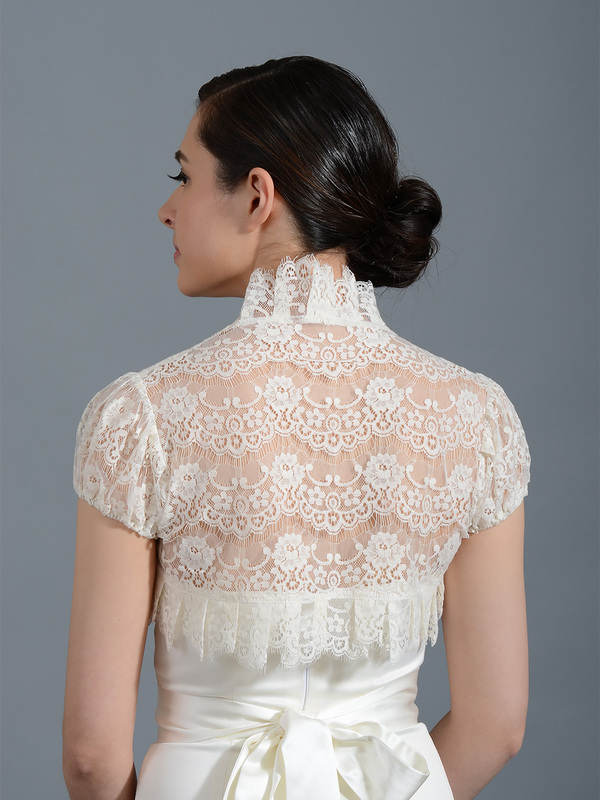 This is a puff short sleeve bolero jacket made of bridal corded lace with ruffled edges. 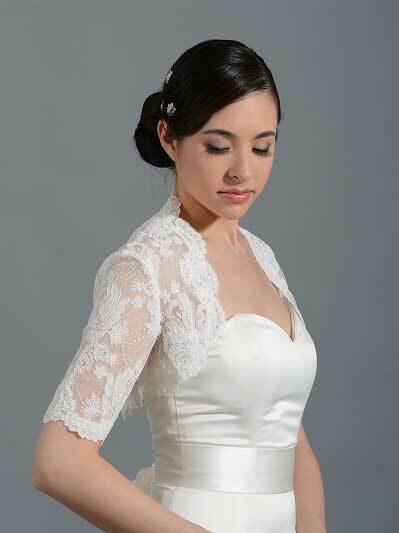 The lace is very soft and comfortable, yet has so much details in it. 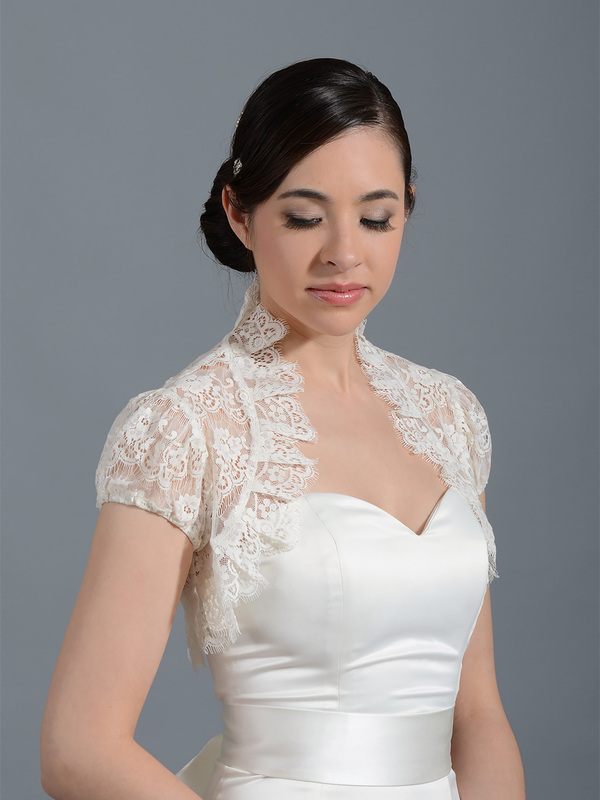 The color is ivory. 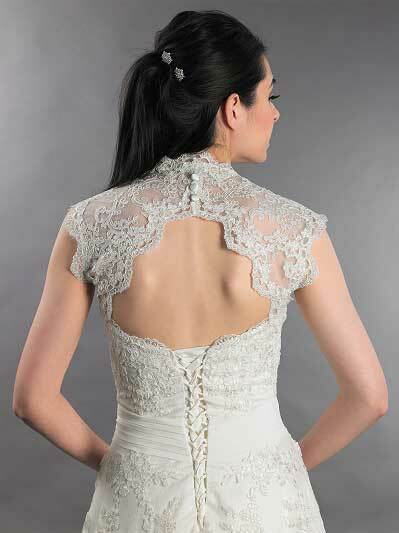 The bolero is very romantic looking and will be perfect for your wedding.